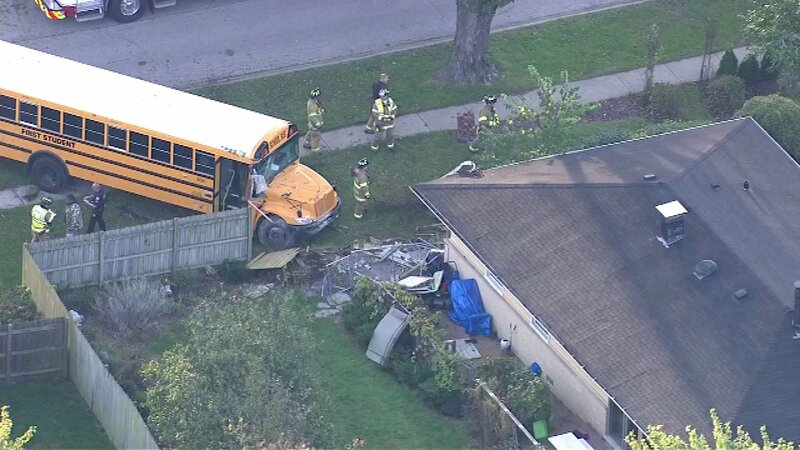 ELK GROVE VILLAGE, Ill. (WLS) -- A school bus crashed into the corner of a home in northwest suburban Elk Grove Village Thursday morning near Holly Lane and Landmeier Road. Down the street from the damaged home is a car with extensive front-end damage. The residents of the home were not injured. The Elk Grove Village Fire Department is on the scene assessing the situation. No one on the bus was critically injured, but it's unknown how many people were on the bus and whether there were any students on board.